Let happiness make a positive impact at your workplace. Great companies don’t think of happy employees as a luxury, but as an indispensable competitive advantage. Happier employees make companies better by bringing their best selves to work every day, making better decisions, producing fresh ideas and being more engaged at work. On March 20, businesses from all over the world will celebrate the International Day of Happiness and this global celebration will unite organizations such as yours. 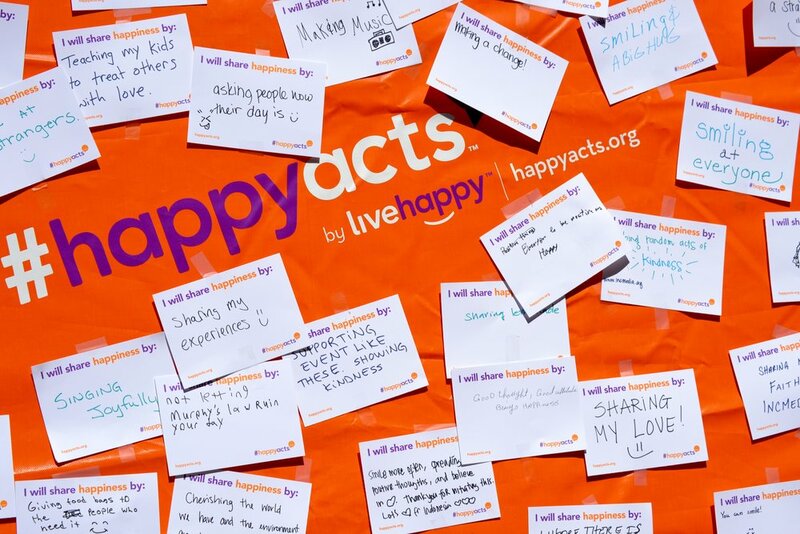 Creating a happiness wall or simply performing #HappyActs at your workplace is a fun, easy way to engage coworkers in a fun activity and become part of the global movement. Invite employees to join in fun activities throughout the month of March. #HappyActs provide people with joy and fulfillment through everyday acts of kindness.